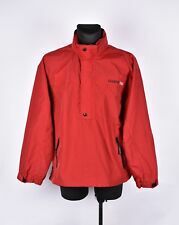 MARCA SLAZENGER CHAQUETA CHAQUETÓN anorak abrigo hombre - L -PVR: 112€ APROX. CHAQUETÓN TIPO ANORAK, CON ENGUATADO DE ABRIGO. > Logotipo Slazenger. ESTUPENDA CHAQUETA/CHAQUETÓN DE ABRIGO PARA HOMBRE. > Slazenger logo. > Capucha con forro de abrigo desmontable (se puede quitar). MARCA KAPPA PARKA CHAQUETA ABRIGO ANORAK hombre - XXL -PVR: 190€ APROX. CHAQUETA DE ABRIGO - PARKA PARA HOMBRE. TALLA: XXL. Capucha desmontable. Comfort fit. Applied rubberized logo omini. Available in 3 colourways. 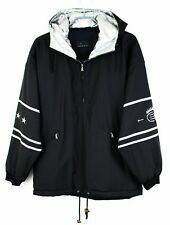 MARCA KAPPA ANORAK ABRIGO hombre 4CENTO alta tecnología - L -PVR: 580€ APROX. ACTUAL ABRIGO DE ALTA GAMA CONTRA EL FRÍO PARA HOMBRE. ESTE ANUNCIO ES PARA ADJUDICAR UN ABRIGO, EN COLOR Y TALLA A ELEGIR ENTRE Highly waterproof (10,000 MM), Wind -proof, Breathable, Water-repellent and stainless. Very warm reversible coat. One side white the other is a navy blue fleece material. Has a small hood inside the collar.